Kevin Paredes/Pipe Dream Photographer Use a combination of beauty products to combat tired eyes during finals week. It’s finals week at Binghamton University. Perhaps you’re spending the hours of the night in the fluorescent light of Glenn G. Bartle Library. Or maybe your roommates find themselves walking by you way too much at 8 a.m. when you pass out on your common room couch for a precious half-hour nap, only to wake up minutes later to continue working on a final presentation. Maybe you managed your time well this semester and haven’t had to resort to the options that give your eyes that sleep-deprived glint. If you find yourself cramming through finals week, the world doesn’t need to know that you’re losing hours of sleep to study. 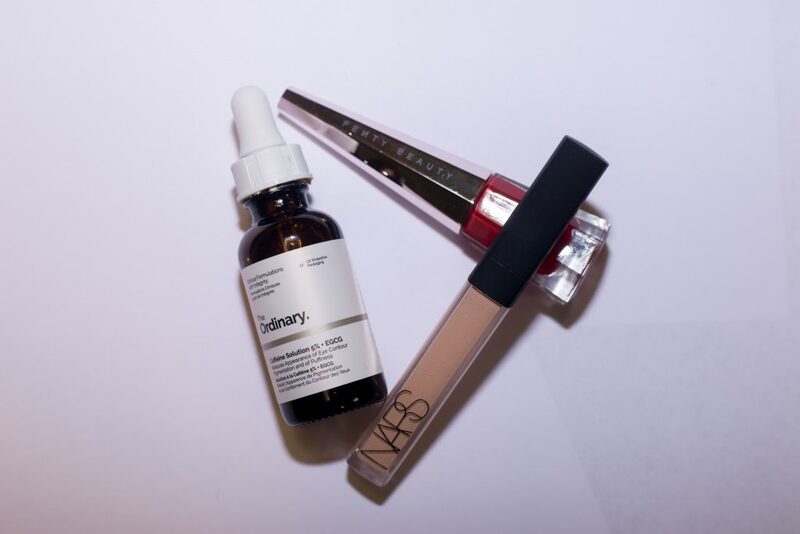 Here are some quick fixes for tired eyes, so you can have great skin that matches your great work ethic. Deciem proves that caffeine can make you feel and look awake, and I have yet to find another chemical product — or product in general — that works on tired eyes as effectively as The Ordinary. The Ordinary is a line of inexpensive serums that target skin care issues like acne, dark spots and, fortunately, visible tiredness. For $6.70, the caffeine solution, which is available in a 30 milliliter bottle, will dramatically decrease both puffiness and discoloration caused by the late nights in the library. It takes five minutes of sinking into your skin to be effective and gives the illusion that you’ve had at least a couple more hours of sleep than you actually got. Apply it in the morning before you moisturize. Since the treated area is a small one, the solution will also last far past finals week — it’s a worthwhile buy. Turmeric and honey are both anti-inflammatory. Mix the two together in a 1:1 ratio (teaspoon per teaspoon) for an easy, color-correcting eye mask. The medicinal qualities in the paste will reduce puffiness, while the deep color will stay on your skin and negate the bluish imprints under your eyes. Leaving this mask on for 15 minutes or so should bring out the best effect, but if you leave it on too long, it may stain other areas of your skin; if this occurs, applying some micellar water easily removes the color. Sometimes, chemical reactions don’t do the trick when you’re running on empty during finals week. For coverage, I like using Nars Radiant Creamy Concealer, which can be purchased for $30 at outlets like Sephora. A more affordable, popular concealer for dark circles is Glossier’s Stretch Concealer ($18 on glossier.com). Building up coverage in this area, however, can cause obvious creases in your makeup. To achieve a seemingly effortless cover, keep the concealer toward the lower, outer corners of your eyes, and if you have dark creases because of your nose or browbones, hit those areas as well. This method trades full coverage for a more natural look, but it will still significantly brighten your look. You stayed up for 48 straight hours. None of these solutions worked. If all else fails, and there’s nothing saving you from how tired you look, take the attention off your eyes with a bold, striking lip color. Fenty Beauty Stunna Lip Paint ($24 at Sephora) is a bright, matte red that was created to complement every skin tone; with one swipe of this color, people will be too busy staring at the color to notice that you’ve been awake for days.